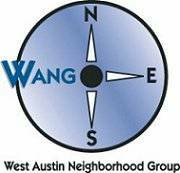 The WANG newsletter is sent via mail to members each month and serves as the primary way of keeping members informed of what is going on in the neighborhood. It consists of a message from the president, minutes of the previous meeting, articles of interest, and important dates. If you are interested in writing an article or advertising in the newsletter, please contact Ken Pfluger by clicking here.